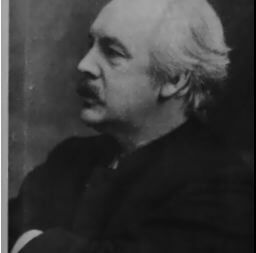 Alexander Alfred Boddy was an Anglican vicar and one of the founders of Pentecostalism in Britain. Boddy's travels through Western Canada, Russia, Egypt and North Africa won him membership into the Royal Geographical Society of England, and the Imperial Geographical Society of Russia. Boddy purchased a Chinook dictionary (a book of the pidgin trade language of the Pacific Northwest) at Hibben's story in Victoria, and produced his own work The Chinook Dialect: By Ocean, Prairie and Peak, Some Gleanings from an Emigrant Chaplain's Log, On Journeys to British Columbia, Manitoba and Easter Canada (London: School for Promoting Christian Knowledge, 1896). [BCBW 2014] "Chinook" "Missionaries" "Early B.C."